30 ft rock climbing with four pathways - a challenge along with excitment to just about any event. The wall includes four lanes with a fail-safe and state-of-the-art auto-repell system. 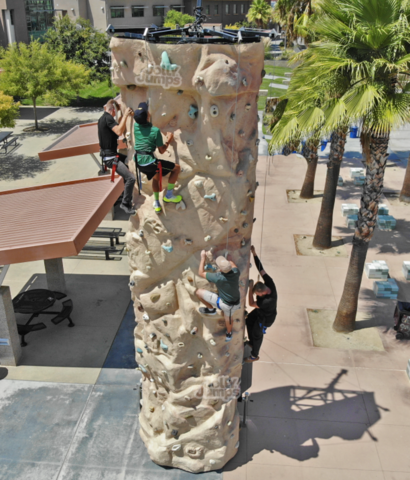 The rock climbing wall is designed for both children and adults.